A fun idea on paper but sappy and corny in execution. Nothing new or interesting, just two hours of tired cliche. 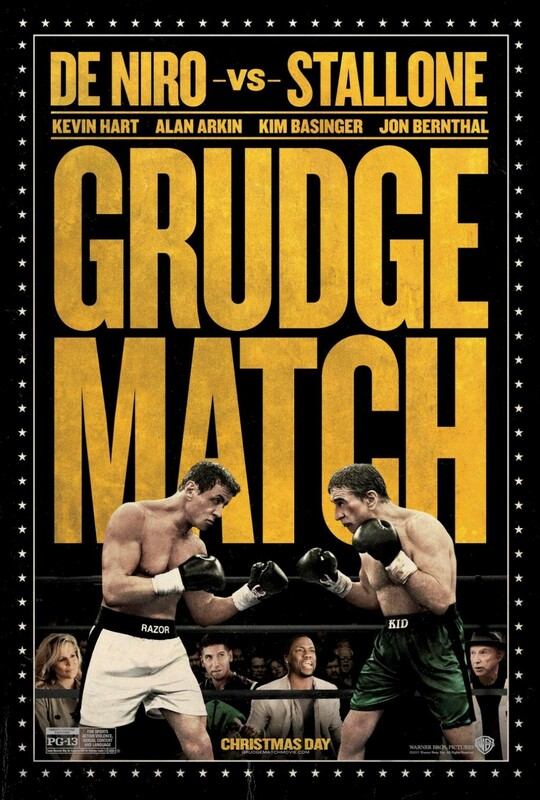 This entry was posted in Comedy, Drama, Sports and tagged 2013, aging, alan arkin, anthony anderson, box, boxer, boxing, comedy, drama, Evander Holyfield, fight, grudge match, ireland baldwin, jon bernthal, kevin hart, kim basinger, ll cool j, mike tyson, old, peter segal, retirement, rich little, ring, rival, rivalry, rivals, robert de niro, rodney rothman, roy jones jr, sports, sylvester stallone, tim kelleher. Bookmark the permalink.